It isn’t really a blog, but it is a very popular online “Television” web series. It debuted last Tuesday and over the past weekend its popularity grew and was a success in viewership. Wheden put the series up on www.drhorrible.com over the weekend in a three-part web series. The series is actually a comedy/musical starring Neil Patrick Harris as the super villain & Nathan Fillion as his arch-nemesis. According to an interview on The Star.com they had to upgrade their server to handle the increase in traffic. I started watching the first episode and at first was underwhelmed. It’s a musical which is not my typical genre and it’s heavy on the cheese (as in cheesy) for sure. But after a minute or so I realized this was a fun take on the villain story and really pretty good quality. I knew my wife and daughter were big fans of Firefly so I told them to check it out. They both watched separately on their laptops and both loved it. Laughing happened often and they didn’t miss the 3rd episode which was up Sunday morning and back down at the end of Sunday. Did You Miss the free version? Where Can You See Dr. Horrible Now? While this web series was an experiment with a free preview this past week, you can still see it today on iTunes for $1.99 per episode or $3.99 for the series (and any additional they might add). As Whedon puts it “We have big dreams, people, and one of them is paying our crew.” The episodes will eventually be available on DVD as well along with some extra features. 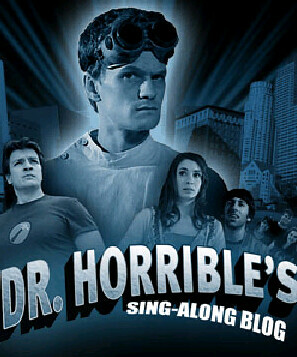 Get the Dr. Horrible episodes on iTunes Now! No more DRM on non-restricted CableCard Content?